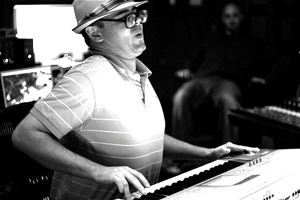 Ronald Jenkees first came to our attention banging out the most awesome keyboard solos on YouTube. It's no wonder Ronald's videos have over 70 million views. His unique style and natural musical talent is hard to resist. We caught up with Ronald and asked him about his music, FL Studio and what he has been up to. I started performing on YouTube with a homemade beat looped in the background on FL Studio while I jammed out on the keyboards. Eventually that turned into an independent album release which did way better than I thought it would. I just released my third CD (still not signed to a label) and things are still going better than I could imagine. I just make whatever it is I want to make, and I try to share the fun stuff on YouTube while being as goofy as possible. It's really, really fun, and I'm very thankful. I still remember the night a friend introduced me to it. It was version 3. I immediately wanted to be good at it and I remember feeling envious of anyone out there that possibly was, but it wasn't two days later I was creating simple stuff and excited about it. It's been like that since. I've always got at least a few projects in the works in FL that I'm pumped about. I think I have the potential to be distracted with too much gear (who doesn't?! ), so I try to keep things on the simple side as far as gear goes. Right now I use the Motif XS8 and the Triton LE to record into Edison as WAV (for live effect), and I have an average midi keyboard that controls lots of stuff in FL Studio. Anyone who follows what I do can tell you I don't really endorse anything, but spreading the word of FL Studio has been a no-brainer because it's given me so much.